I can be a bit of die hard. I can hang on to technology far longer than some. I haven’t gotten a Blu-ray player or flat screen TV yet. On the other hand I have an eBook reader, and I was the first to get a DVD player. When cassettes became passé they ended up in the trash (or recycling box…which then probably got put in the trash) or got sent to people who still had cassette players in their cars. I didn’t get rid of my LPs and now they seem to have come back in fashion. I may have to go and dig them out of their storage/hiding spot. 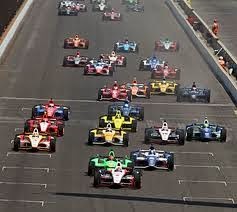 I just finished watching the Indy 500 on television. I have to say that there was a time in my life when that was really important. There was a time when I looked forward to it all week. There was a time when I planned my snacks for the big event, like I do for the Grey Cup. That time seems like a long time ago. I guess it just doesn’t capture my imagination like it used to. I still like motorsports. I dedicatedly watch the British Touring Car Championships. I love the speed and the technology. When I write like that, it is hard to understand why the 500 just doesn’t do it for me. I can hardly understand myself. I am not going to repeat those oft cited 200 laps of left turns. Those never made sense to me before, and they aren’t going to start now. I also am not one of those people who watch for crashes. Thankfully safety technology has cut down on the fatalities in auto racing. Sadly, they have not been eliminated entirely. Maybe it is the commentary. Despite the in car views, telemetry and abundant stats, I find some of those racing comments like nails on a chalkboard. I don’t blame the commentators entirely. I blame them (and all commentators) for relying on cliche and hackneyed expressions, but I know that some of those are directed at less than knowledgeable and casual fans. In this great high tech, high bandwidth TV universe, couldn’t we have a secondary channel where they didn’t state the obvious, didn’t speak to me like I was five years old? Let me choose, I might surprise you. 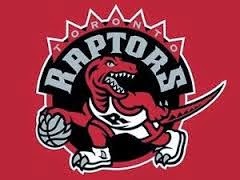 I am not really a basketball fan, but the Toronto Raptors certainly had my attention. Although they did not win game seven and will not advance to the next round, they have earned everyone’s respect and should be thanked. 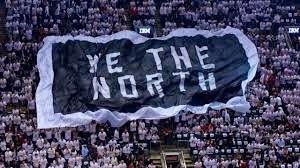 They brought a winning, can do attitude to a city that seems stuck in a sporting slump (except the Argonauts or the Rock). I was shopping today and I heard the stock boys and cashiers discussing the score. Every few minutes another voice would ring out, begging for an update. I don’t remember the last time I witnessed something like that. It was great. They might have lost, but they aren’t losers. They along with the fans (die hard and bandwagon types alike) are the winners. It was a great playoff series, and they deserved to win. They deserve some respect. They earned some respect. Thank You. You have done an amazing job.